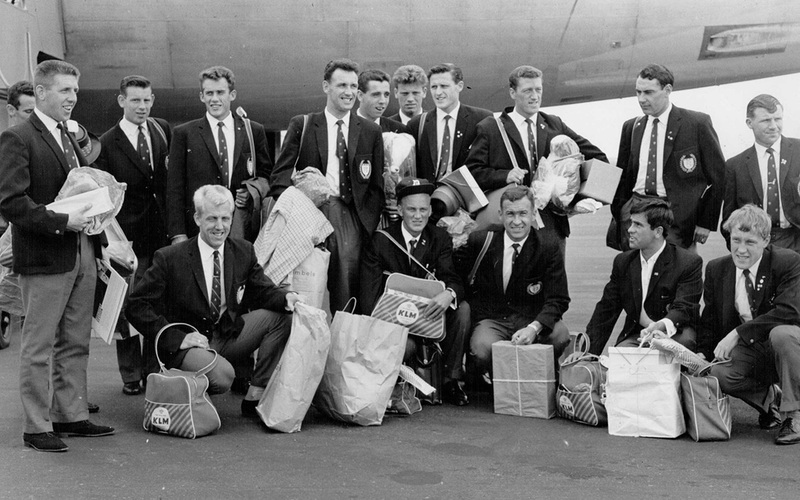 After winning the Scottish League Championship in 1962, Dundee were entered as Scotland’s representatives into the 1962/63 European Champions Cup and their entry into the competitive continental stage was simply sensational. A year after becoming Champions of Scotland only AC Milan stood between Dundee and the European Cup Final and having conquered Scotland, Bob Shankly’s side came close to conquering Europe. The European Cup was still very much in its infancy in 1962 having first been contested in the 1955/56 season. Only two clubs – Real Madrid (the first five years) and Benfica (the last two) had won it so far and both these giants were in the draw for the 1962/63 competition; Real Madrid as Spanish Champions and Benfica as the holders. They, along with the team which the August draw had paired Dundee with, Cologne, were installed as favourites so The Dee could hardly have received a more difficult draw. Dundee were only the fourth Scottish club to enter the Champions Cup, following Hibernian, Rangers and Hearts. From the Dundee squad only Gordon Smith had experience in the European Cup having played for both Edinburgh clubs and this included a semi-final appearance with Hibs. It was going to be tough for the Dark Blues however as not only were Cologne one of the favourites but Dundee’s own form was miserable having lost five of their first seven games of the season. The Scottish press loved his bold statement and wrote banner headlines around his remarks to whip up a frenzy and by the time of kick off on September 5th, the huge interest in the match was evidenced by the 25, 000 crowd which had descended upon Dens Park. The Cologne team boasted no fewer than ten West German internationalists. Skipper Hans Schafer had been his country’s outside-left when they won the World Cup in Switzerland in 1954, while left-back Karl-Heinz Schnellinger was named in the World’s Best XI in the 1962 World Cup in Chile and would play in the 1966 final. The Dundee team that lined up for the national anthems was experienced. Although Craig Brown, Alec Stuart, Doug Houston and Kenny Cameron had all played in the first seven games, against Cologne, Bob Shankly reverted to the side which had served him so well in the title success. The only exception was in goal where Bert Slater made a European debut denied to Championship winner Pat Liney and Dundee lined up Slater, Hamilton, Cox, Seith, Ure, Wishart, Smith, Penman, Cousin, Gilzean and Robertson. Immediately from the kick off Dundee poured forward in numbers and in the second minute, Alan Cousin collided with the German keeper Fritz Ewart, who was laid out cold for a few minutes before groggily returning to his place. Ewart didn’t get much time to recover however as Dundee pushed forward at an incessant pace and just seven minutes later Cologne centre-back Hemmersbach was pressured into heading an Andy Penman cross into his own net. Two minutes later Dundee doubled their lead with a goal described by Craig Brown as one of the most extraordinary he had ever seen. From the edge of the box Bobby Wishart miscued and while the ball trundled one way, a huge divot flew in the other and Ewart dived to save the divot! The German keeper ended with turf in his hands while the ball was in the net behind him. It was three a minute later thanks to Hugh Robertson who fired in off Regh before Gilzean made it four when he headed home a Smith cross and then Smith himself made it five before half time. The match was being broadcast live on BBC Radio with commentator Kenneth Wolstenholme barely hiding his astonishment at the score and there were reports the next day of cheers being heard in the city centre over a mile away. For the second half, Cologne were down to ten men when their goalkeeper Ewart did not reappear and right-back Tony Regh took over in goal in these pre-substitute days. So dazed was Ewart in the dressing room at half time that he thought the score was 2-0 and that the game was over. More goals were therefore bound to come. Penman headed in from close range to make it six just four minutes after the break and by now every Dundee goal prompted dancing on the terracing and the track. The excitement communicated itself to the ticketless spectators outside the ground and the arm waving fans at the top of the Dens Road and Provost Road terracing semaphored the score to the people on the pavements outside. Gilzean made it seven with a bullet header from Hamilton’s cross and Gilzean completed his hat-trick when he headed in a centre from Alan Cousin. Eight goals and only sixty-seven minutes played and at this rate it could have ended up twelve or more. Instead it was the Germans who scored the only remaining goal with Hamilton turning a Habig cross into his own net. At the other end Cajkovski was ordered away from behind the goal presumably for coaching his stand-in keeper but it mattered not as the score finished 8-1 in Dundee’s favour. While Dundee recorded perhaps their greatest ever result (rivalled only by their 5-1 win at Ibrox in November 1961), for the unhappy team from the Rhine, it was ‘woe to the vanquished’ as they suffered a club record defeat which still stand today. For Dundee to score eight against the German champions, one of the fancied sides pre-tournament was remarkable and lives long on the memory of all who were lucky enough to be there. Cologne went back to the Rhineland after their first leg 8-1 humiliation in Dundee muttering threats of retaliation and which they carried through; very nearly progressing into the next round into the bargain. Upon leaving Dens Park, Cajkovski told the German press that the result in West Germany might be different “if say the Dundee goalkeeper was injured” and the signs were ominous at kick off when an ambulance was parked behind Bert Slater’s goal. Cologne made five changes from the first leg, two of them positional and the big news for the home crowd was that star man Karl-Heinz Schellinger had made the line up. He had received extensive treatment on his injured knee in recent weeks and was deployed to man-mark Alan Gilzean, Dundee’s hat-trick hero from the first game. Also in for the home side was goalkeeper Toni Schumacher to replace the unfortunate Ewert who was injured at Dens and right-back Fritz Pott, called up for West Germany’s match against Yugoslavia in Zagreb in seven days time while the Dundee side was unchanged. 40,000 horn-blowing expectant home fans were in the Mungerdorf Stadium and straight from kick off Cologne went on the attack in an attempt to overturn a seemingly impossible deficit. Their hopes were raised in the seventh minute however as they got off to the perfect start when they pulled an aggregate goal back from the penalty spot. Alex Hamilton punched a Hans Schafer goal bound header over the bar and inside-right Habig put the twelve-yard kick past Bert Slater to give the Germans a 1-0 lead on the night. Cologne continued to put pressure on the Dundee goal in a bedlam of noise but they were guilty of a number of strong challenges which went unpunished by the Danish referee Mr Poulsen. Gordon Smith in particular was coming in for some rough treatment on the Dark Blues’ right-wing and any time a high ball came into Dundee box, Bert Slater had to endure some digs and punches in the ribs. Worse was to come for the Dundee keeper however as on twenty-seven minutes he dived down low at the feet of striker Christian Muellar and he caught Slater with his boot with full force behind the ear. As trainer Sammy Kean ran on help Slater, blood oozed from the wound and Kean signalled to the bench that Slater would have to go off to receive some treatment from a doctor. Almost immediately, the German medics tried to usher Slater into the awaiting ambulance and take him away to hospital. Sammy Kean signalled that he wanted his keeper to go to the dressing room which led to the bizarre sight of Slater jumping off the stretcher and bustling his way through the crowd towards the dressing room. In the meantime a confab between the Dundee players saw nineteen year-old inside-right Andy Penman put on the goalkeeper’s sweater and take over from Slater in goal with Dundee now down to ten men. It didn’t take long for Cologne to take advantage of this when Christian Muellar doubled Cologne’s lead after a fine move down the right before Schafer made it 3-0 right on the stroke of half-time. It was now 8-4 to Dundee on aggregate but the Dark Blues looked vulnerable and in disarray and in danger being on the end of one of the most remarkable turnarounds in two-legged football. At the start of the second half, Bert Slater resumed, not in goal but out wide on the right wing. He head was swathed in a huge turban-like bandage and he showed some neat touches when the ball arrived at his feet. It had been decided not to risk him back in goal but after a couple of dashes down the touchline he ran back towards his own goal to swap jerseys with the gallant Penman and resume his duties between the sticks. It was a turning point for Dundee as they regained their composure despite continued severe provocation. With Gilzean being well handled by Schellinger, Penman moved up field to take over the role of main spearhead while Cologne, when they needed their attacking impetus the most, found themselves having to pull men back to contain Dundee’s forwards. On 57 minutes however Cologne did make it 4-0 when Ian Ure put through his own net with Slater impeded. The Dark Blues now came under intense pressure again and just three minutes later conceded a second penalty when Ure mistimed his tackle on Thielen. The Billy Goats had a great chance to make it 8-6 on aggregate with still half an hour to go to get at least another two goals to force a third match on a neutral ground but fortunately for The Dee, Habig smashed his second penalty against the bar and with it went Cologne’s realistic chance of making the first round. As the game wore on the ugliness persisted as the Danish referee continued to allow Cologne carte blanche to kick and punch the Dark Blues but with just a few minutes left on the clock, Ian Ure incredibly got his name taken for an innocuous looking foul. This was the signal for the German crowd to pour forward from the terracing and stand six deep and menacing around the touchline. Dundee manager Bob Shankly tried to protest only to be told by a German customs official that this was normal in German matches but when Gordon Smith tried to make one of his trademark runs up the wing, he was tripped up by a fan who was standing on the edge of the playing surface. 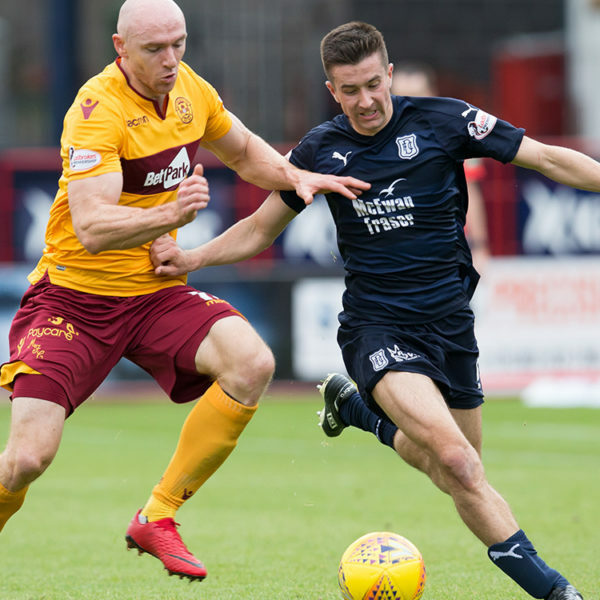 The Dundee players were understandably hesitant to even take a throw-in and they tried to play the clock down but the final whistle did not bring any relief for the Dark Blues. The teams were trapped on the pitch as the crowd poured forward, horns blaring and the Dundee players were swamped in a frightening flood of bodies. Fists flew as Dundee struggled towards the dressing room but they were saved when hundreds of off-duty British Army servicemen from the Rhine Army, who were at the game to support Dundee, waded into the German crowd and threw a cordon around the team to get them off the pitch unhurt – or practically unhurt. At the end of the match the final score was Cologne 4, Dundee 0 but it was the Dark Blues who progresssed to the First Round with an aggregate win of 8-5. It was a brave performance from The Dee, particularly from goalkeeper Bert Slater who was clearly a target from the start and Dundee started to wonder if participation in the European Cup was worth it, if scenes like the Mungerdorf witnessed were tolerated by the authorities. In the next round however all worries about playing in Europe were forgotten when Dundee were paired with Sporting Club of Portugal and the two matches were played in an entertaining sporting fashion. The first leg in Lisbon was described as in The Courier by Tommy Gallacher as “one of the fastest, most gruelling but sportiest European Cup ties ever seen.” Unfortunately for Dundee however, they conceded a last minute goal in a melee which saw the ball cleared from just behind the line. The goal was credited to inside-right Geo though the Dundee players were adamant it hadn’t crossed the line and the Dark Blues were unlucky to go back to Scotland with a 1-0 deficit. A week later a full strength Dundee with Hugh Robertson who had missed the first leg restored, were roared on by 32,000 crowd to a 4-1 win which would send The Dee through 4-2 on aggregate. Fans had arrived at Dens a good two hours before kick off and no car parking spaces could be found for miles around. Late comers missed Dundee’s opening goal on thirteen minutes, scored by Alan Gilzean to level the tie. Sporting proved to be a skilful side but they were prone to over elaboration near goal. On half-time, Alan Cousin headed Gordon Smith’s cross in off the underside of the bar to put Dundee ahead at a crucial time. In the second half Smith set up Dundee’s third goal and played a part in the fourth which were both but away by Gilzean. At 4-1 on aggregate, there was no way back for the Portuguese team. They did manage to claw a goal back through Figuerido but Dundee proudly took their place in the last eight of the European cup alongside A.C. Milan, Dukla Prague, Benfica, Feyenoord, Rheims, Galatasaray and Anderlecht. The draw paired Dundee with the Belgian champions Anderlecht who had sensationally knocked favourites Real Madrid out in the preliminary round. Interest in the tie was so huge that Anderlecht moved the game from their own ground in Brussels to the national Heysel Stadium elsewhere in the city, which could hold 60,000 and the teams would actually take to the field in front of 64, 703; more than the official capacity and the biggest crowd ever for any football match in Belgium. 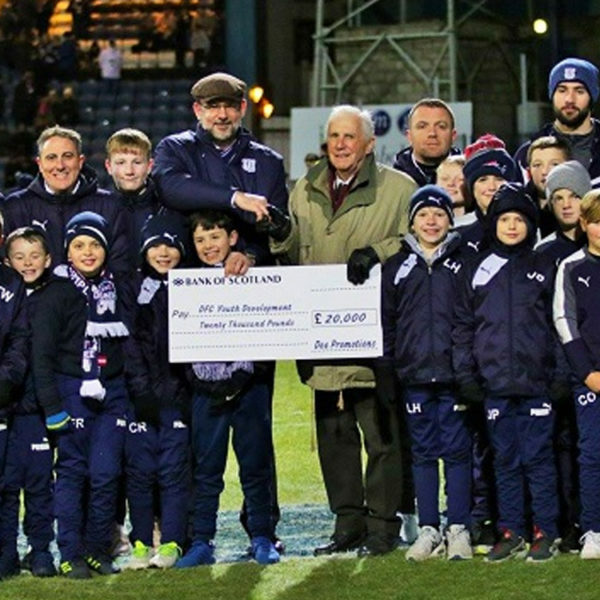 When the players took to the field on Wednesday 6th March, the Belgian hosts played “The Dundee Song” by Hector Nicol over the tannoy and the 200 Dundee fans present sung along with gusto. They were perplexed moments later however when it was followed by “The Tannadice Song” and having had both records sent over, Anderlecht secretary Eugene Steppe wasn’t sure which one to play so played both. When the game kicked off, the Belgian TV cameraman was caught napping when Dundee promptly scored. A sight of Gilzean’s quick-fire goal from Gordon Smith’s cross was therefore denied to those not in the stadium but happily the cameraman had Gilzean in his sights when he fired in from outside the box to make it 2-0 on eighteen minutes – his eighth European Cup goal of the season. Anderlecht pulled one back from the spot before the break when Bobby Cox was penalised for handball despite showing the Swiss referee a mark on his chest. Two second half goals however from Alan Cousin and Gordon Smith gave the Dark Blues an emphatic 4-1 away win. It was a wonderful performance – one of the greatest in the club’s history – and once again the result sent shockwaves across Europe. With the second leg at Dens a week later a seeming formality, just eighty-nine Anderlecht supporters made the journey across to Scotland. For Dundee fans, European Cup fever swept through the city. Tickets were at a premium as 40,000 supporters snapped up briefs for a crowd that exceeded even that which had watched Cologne and Sporting Lisbon in the previous rounds and is the fifth highest crowd ever at Dens. For the second leg on Wednesday 13th March 1963, Anderlecht had nothing to lose and dictated play from the off. They drew first blood after half an hour through Anderlecht’s top goalscorer Jacques Stockman and went in at the interval with that one goal lead. In the run up to the semi-final Dundee’s league form was erratic. 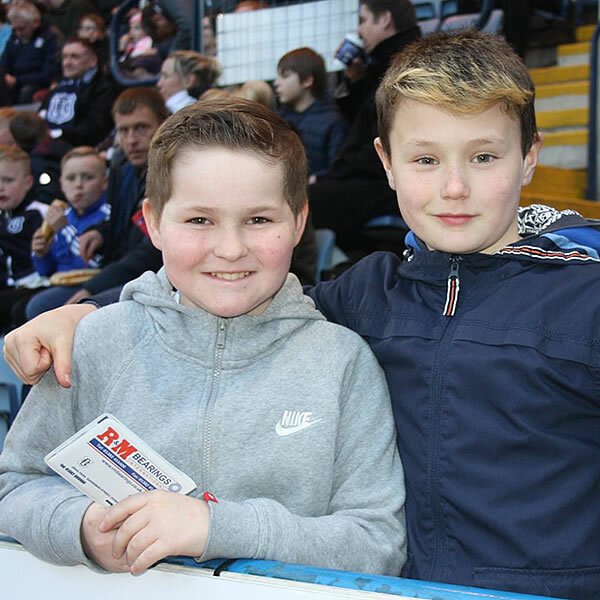 With the severe winter wiping out most of January and February, Dundee were now playing at least two games a week to catch up and the backlog was beginning to take its toll on the older players. Two days before Dundee were due to fly out to Milan, Bobby Cox tore a cartilage against Motherwell at Fir Park and it ruled him out of one of the biggest games in Dundee’s history. AC Milan were a formidable side and had nine internationalists from Italy, Brazil and Peru in their ranks. Amongst them was future Republic of Ireland manager Giovanni Trappatoni, captain Cesare Maldini – father of future Milan legend Paolo, Jose Altafini who would write himself into Rossoneri folklore when he scored two goals in the final against Benfica and Italian golden boy Gianni Rivera who was known for his artistry with the ball. Dundee lined up with Alex Stuart in for captain Bobby Cox, meaning Bobby Seith skippered the side in the impressive San Siro while Hugh Robertson once again missed a big European tie through injury and was replaced by Doug Houston on the left-wing. The kick-off was delayed for thirteen minutes to allow the boisterous 78,000 spectators to pack in the Stadio Giuseppe Meazza and within three minutes Milan were ahead when inside-right Dino Sani nodded home. Dundee however settled quickly after the setback and midway through the first half were back on level terms when Alan Cousin headed home an Andy Penman cross after a fine run by the youngster. Dundee on the other hand were being subjected to some fierce tackling and Gordon Smith and Alan Gilzean in particular were coming in for some rough treatment. Indeed some weeks after the match in Milan, suspicions that Dundee had been dealt unfairly in the San Siro by the referee was given credence when the official was found to have accepted extravagant gifts from the Italian club during another game and was banned from officiating pending charges of bribery. In spite of everything it was still 1-1 at half-time but optimism in the Dundee dressing room at the break however soon turned to dismay. Firstly Doug Houston shot past the post after he was clean through and then in quick succession, Barison and Mora found the net with flashing headers, both of which were controversial. Benitez appeared to be over the by-line before crossing for Barison’s goal while Altafini – standing on the Dundee goal line – had been clearly offside at the third goal. At first Senor Caballero had given offside but when one of his linesman ran onto the pitch furiously waving his flag, the decision was changed. In the closing minutes Dundee were stunned by a further two goals from Milan’s wingers Barison and Mora. Milan cleverly drew Ian Ure out of position before hitting high balls to the near post where Barison easily out-jumped Hamilton for the fourth. All five Milan goals came from high crosses against which Dundee were usually well prepared. After a promising first half, Dundee had disappointed, with the inspirational qualities of Bobby Cox badly missed. Milan were certainly a top side but the Dundee players felt they were not as good as Cologne or Anderlecht whom they had already disposed of. The second leg was to take place at Dens just seven days later and one player still missing was Bobby Cox as he had underwent a cartilage operation on his knee and would be resting in a Dundee nursing home during the second leg. Despite the fact the fact that Dundee were effectively playing for pride in the second leg, an impressive 38,000 still turned up at Dens, the second largest attendance behind the Anderlecht match since the record crowd had been set ten years before. Bob Shankly fielded an unchanged side on May 1st, meaning once again Bobby Seith was the captain in Cox’s absence and when they attacked from the start, it quickly became obvious that the Italians were to defend in depth. Play was never allowed to flow due to the constant interruption for fouls and there were few opportunities for the much improved Dundee. Finally however, Alan Gilzean broke the deadlock just before half-time when he rose to head a Gordon Smith cross past Italian internationalist Giorgio Ghezzi in the Milan goal. Soon after the interval Penman had the ball in the net but it was disallowed for offside against Gilzean and although Milan were fortunate not to concede a penalty when Smith was blatantly punched while inside the box, there was no further scoring. Throughout both legs, Gordon Smith and Alan Gilzean had taken some terrible punishment and with just six minutes remaining the frustrated inside-man sought retribution, lashed out at Benitez and was ordered off. In total Dundee played eight games in their European Cup campaign, winning five and losing three and had they posted such results in the modern day Champions’ League format, they would have easily qualified from their group. The 1962/63 results are also the main reason why Dundee still has a UEFA ranking of 228. Dundee Football Club had come so near and yet so far to becoming the first British side to win the European Cup and could so easily have beaten Celtic’s Lisbon Lions to it by four years. The players had done themselves, the club, the fans and the city proud with their wonderful and scintillating performances and left continental shockwaves in their wake on route to the semi-final. They had earned their right to be among football’s European elite and the club proudly celebrated their magnificent Champions’ Cup campaign on its fiftieth anniversary this year.